Our success over the last 30 years is built on being locally owned and operated and committed to excellence. At SERVPRO of North Palm Beach County, we have proudly served our community for more than 30 years! In fact, we are the only restoration company in Palm Beach County that has the same owner and same name for such a long time. So, what does that mean about us? For starters, it means that we have not only served our community with integrity, but also that we have been able to cultivate a truly unique family business. For us, a commitment to excellence comes in two forms: 1) the work that we perform and 2) the way we treat our customer base. Throughout the years we have learned that offering superior water damage, fire damage, and storm damage restoration services requires a dedication to learning new techniques utilizing new equipment, a promise to treat each job like it is our own home or business, and a commitment to continually training to improve our skills. From a customer service standpoint, our commitment to excellence comes in the form of being there for our customers 7 days a week for emergency services, restoration, and cleaning needs. We are on call 24 hours a day for our customers and that means being there for them in times of need at any hour. In doing so, our customers throughout Palm Beach County have benefited from leaning on us in emergency situations of all kinds. 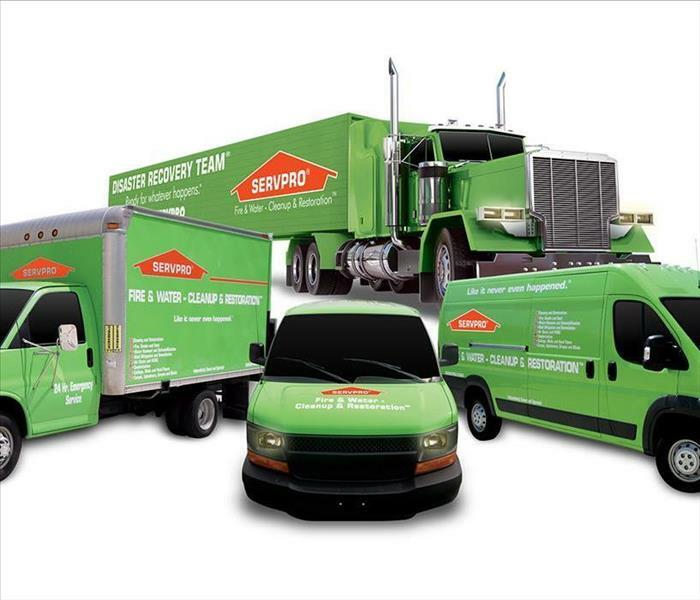 SERVPRO of North Palm Beach County prides ourselves on being faster to any size disaster. From immediate emergency service to highly trained technicians, our success over the last 30 years is built on being locally owned and operated and committed to excellence. If you are experiencing damage of any kind, look to the trusted leader in the restoration industry, look to SERVPRO of North Palm Beach County! Preparing for hurricane season early has major benefits. The spring season has just begun and for many that means flowers blooming and afternoon rain showers. South Floridians have grown accustom to the seamless shift from the “winter” months to the spring months. From days spent outside to nights enjoy the comfortable air, hurricane season is probably the last thing on your mind. However, it’s important to think about hurricane preparedness now as opposed to the month right before the storm season begins. Many Floridians have become numb to the dangers associated with major storms. With years and years of experience in last minute shifts of the eye and warnings that fade to nothing, it’s easy to get jaded and ignore the need to prepare. Unfortunately, those who neglect to get ready their homes for hurricane now may end up regretting it in the long run. The truth is that preparing for hurricane season early has major benefits. First and foremost, early hurricane preparation will put you and your family in the safe position of being prepared for anything. There is no telling when a major storm will hit and having the comfort of knowing that your preparations are complete will give you valuable peace of mind. In addition, stocking up on supplies now will save you money. Get together a list of essentials like flashlights, batteries, and nonperishable foods and plan to purchase them as they go on sale. Finally, generator prices tend to skyrocket around hurricane season and their stock may be low at time too. Be sure to look into buying a generator now to allow for plenty of time for research beforehand. At SERVPRO of North Palm Beach County, our storm damage specialists have years of experience in cleaning and restoration following a major storm. Keep us in mind this upcoming hurricane season and feel free to call 561-881-8784 with any storm damage questions! Even the smallest of leaks can cause your water bill to spike as well as a wide range of potential water damage issues throughout the home. Being a homeowner means wearing a lot of different hats. From inside to outside of the home, South Florida residents are tasked with the great responsibility of maintaining their homes to be in the best shape possible. One of the most common issues plaguing homeowners in our area comes in the form of leaking pipes. 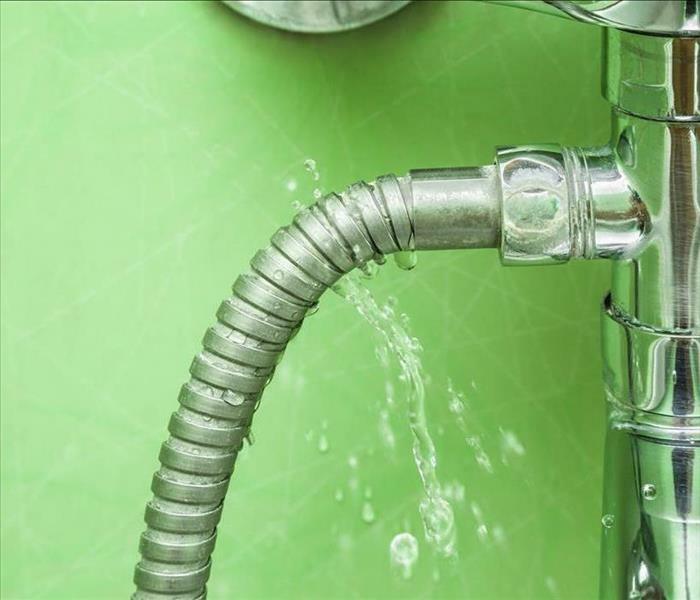 Unfortunately, leaky pipes can cause all kinds of water damage headaches if left undetected. Knowing how to check for leaks is essential for homeowners looking to maintain their home to the best of their ability. Even the smallest of leaks can cause your water bill to spike as well as a wide range of potential water damage issues throughout the home. If you believe that your home may have leaky pipes, it is important to check it out right away. SERVPRO of North Palm Beach County is here to help with any and all of your water damage problems. Contact us today to learn more! If your home has suffered from fire damage, SERVPRO of North Palm Beach County can help. Our fire and smoke damage restoration team is here for you! Home fires are one of the most frightening things that a family can experience. As a homeowner in South Florida, it is important to think about the potential for a home fire and what you and your family would do in that emergency situation. Does your family have an evacuation plan? If not, it’s time to start thinking about a fire escape plan. 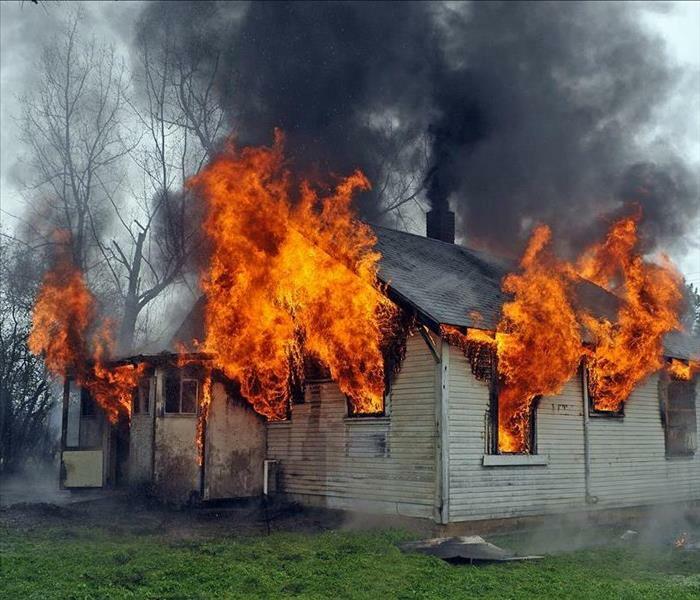 Far too many people underestimate the dangers associated with home fires, especially small home fires. If a small fire occurs in your home, you may be tempted to run back inside to grab important personal items. 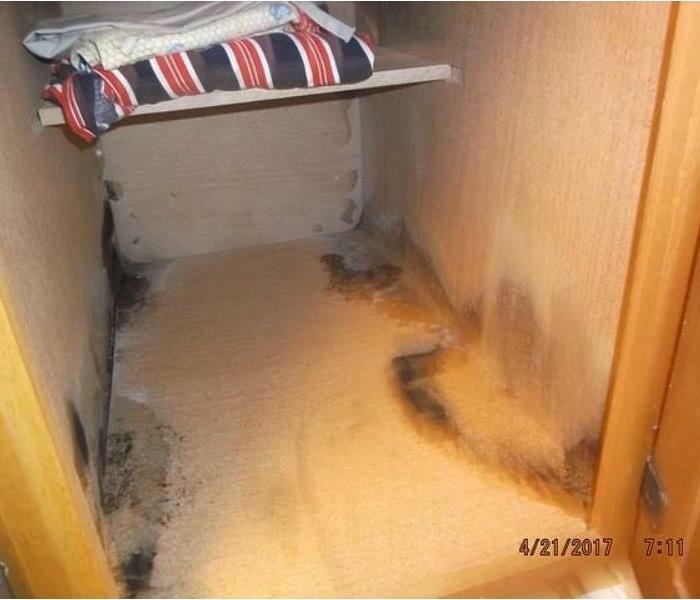 While this may seem harmless, the reality is that smoke inhalation is extremely dangerous. So, even if the fire is small and contained, running back into the area where smoke is present can be a major risk to your health. A gas and fine particle mixture is what makes up smoke, and these elements can be a big health threat. If your home has suffered from fire damage of any size, SERVPRO of North Palm Beach County can help. Our fire and smoke damage restoration team will get to work quickly in restoring your home to its previous condition. From smoke to soot to fire, this type of damage should be addressed immediately to reduce property damage. Contact us today to learn more! No matter how you plan to prepare your business for rainy season, the key is to start thinking about it now. South Florida residents have grown accustom to constant rain throughout the year. Rainy season, however, is right around the corner. Typically running from May through October, Floridians must be ready for almost daily thunderstorms. While some days are quick sprinkles, other days seem to feel like never-ending torrential downpour. Homeowners think about rainy season and how it may impact their home all of the time. Business owners, however, tend to give rainy season much less thought, if any at all. 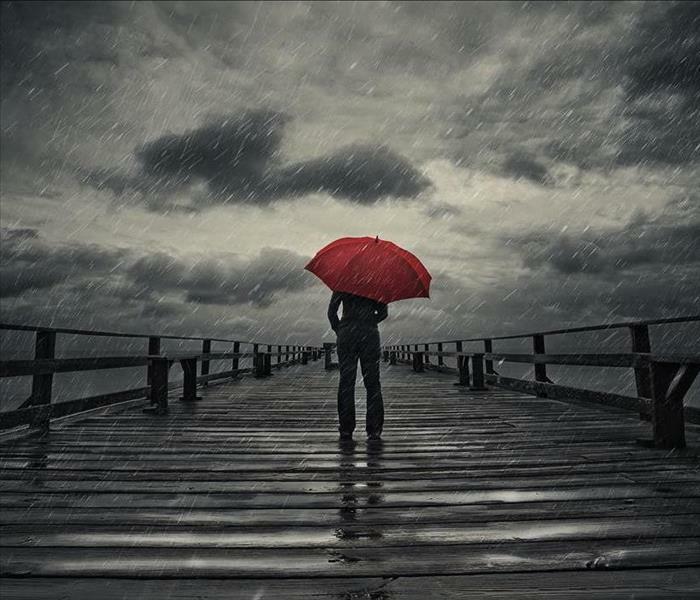 No matter how you plan to prepare your business for rainy season, the key is to start thinking about it now. Giving yourself and your staff a few months to get ready is imperative to a smooth rainy season. If your commercial property has suffered from rain damage, our commercial water damage restoration professionals are ready to help. Contact the team at SERVPRO of North Palm Beach County today to learn more! At SERVPRO of North Palm Beach County, we are mold damage restoration specialists ready to help! South Florida homes are no strangers to rainstorms and, as a result, a lot of potential moisture in the home. Unfortunately, humidity and moisture are key elements to creating an environment where mold will thrive. Homeowners in South Florida are primarily concerned with mold growth in both their kitchen and their bathrooms due to this moisture factor. Today, we focus on kitchen mold in places like windows, walls, and kitchen cupboards. These areas are all likely to come into contact with moisture, making them prime candidates for mold to grow. Following these steps will put you in a better position to prevent mold from growing in your kitchen. With over 100,000 varieties of mold in existence, it is important to be proactive to keep your kitchen safe and clean for you and your family. If you do notice signs of mold growth in your kitchen, it is important to reach out to a professional immediately. At SERVPRO of North Palm Beach County, we are mold damage restoration specialists ready to help! Call us as soon as you see an issue and we will be there right away! As members of the Palm Beach North Chamber of Commerce, we are able to have our hands in all types of local events. Volunteering our time to better our community has always been one of the highest priorities for SERVPRO of North Palm Beach County. From helping children in the local schools throughout the county to volunteering our time during the holiday season, our staff all participants in community service events all throughout the year. Giving back is our way of not only staying connected to the people in our cities, but also playing a role in the betterment of Palm Beach County. As members of the Palm Beach North Chamber of Commerce, we are able to have our hands in all types of local events and ground-breaking advancements for the community. 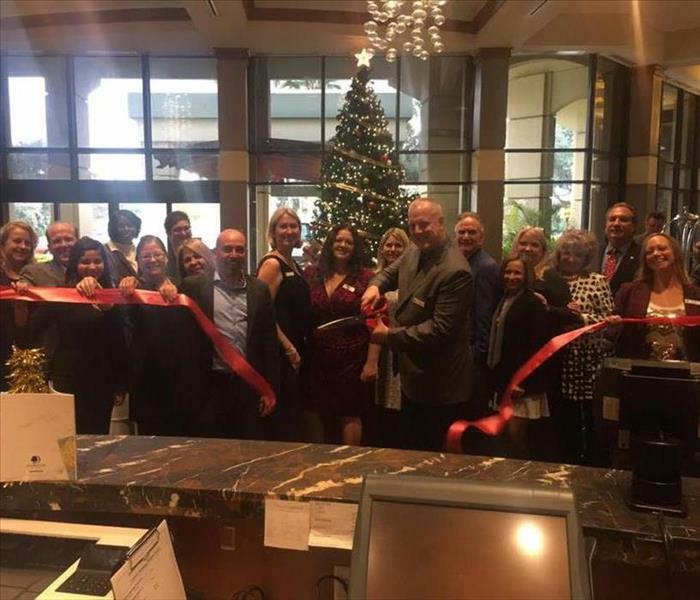 For instance, we recently participated in a wonderful local event at The DoubleTree by Hilton Hotel & Executive Meetings Center Palm Beach Gardens, to commemorate the completion of a $5 million dollar hotel rejuvenation project. This renovation helped to create a sustainable venue all while offering the community give back opportunities. SERVPRO of North Palm Beach County understands that when the community thrives, we all thrive. It is important to remember that when you choose our water damage repair, fire damage repair, or any type of restoration services, you are choosing a company who truly cares. We care about our community, we care about each other, and we care about each and every home or business that we help. Homeowners in the Sunshine State have likely never taken a moment to think about some of the more interesting storm facts. South Floridians have become so accustom to storms that they seldom stop to think about the details. From what seems like constant hurricane preparation to feeling numb about big storms coming, homeowners in the Sunshine State have likely never taken a moment to think about some of the more interesting storm facts. With that in mind, we have put together a list of unique, exciting pieces of information about hurricanes. Intense tropical storms, otherwise known as hurricanes, have become one of Florida’s most prominent identifiers. 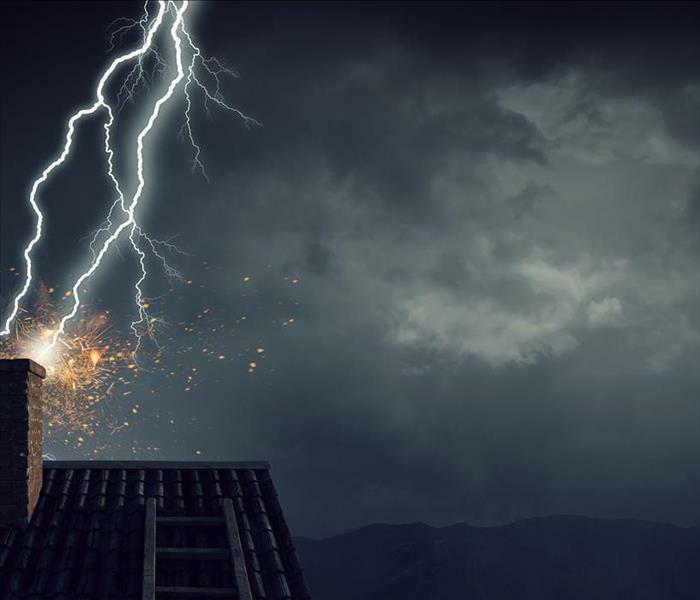 While we often discuss things like tips for hurricane preparation and how to protect your home from storm damage, it is thought-provoking to stop and consider some of the above interesting facts. Did we miss any storm facts that you would like to share? Let us know! From mold growth to structural damage, water damage in the garage can lead to a number of costly issues. When compared to water damage in the main areas of your home, water damage in the garage is certainly preferable. However, no homeowner in South Florida wants to deal water damage of any kind. While garage water damage may not inconvenience you too much, it is definitely a headache that most people would like to avoid. Flooding can lead to ruined floors and walls throughout the garage, so attempting to avoid that type of water damage is imperative. While the above maintenance steps may seem simple, far too many people ignore them until it is too late. 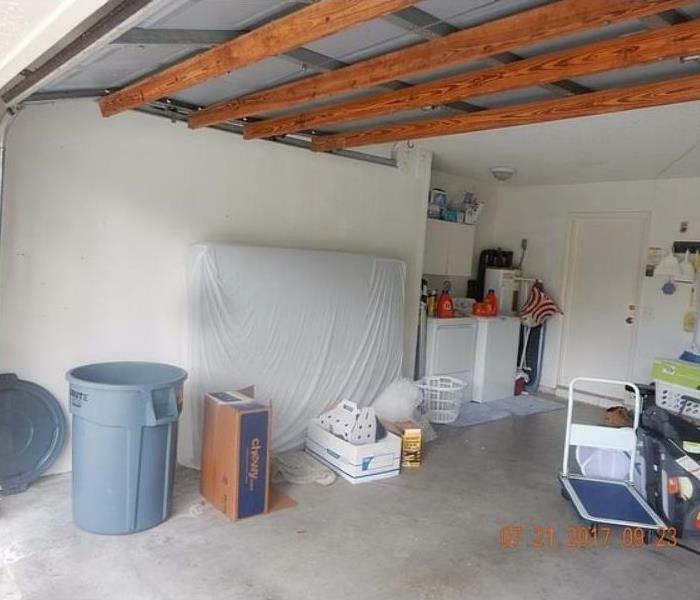 From mold growth to structural damage, water damage in the garage can lead to a number of costly issues. If you believe that your garage has suffered from water damage, contact the professionals at SERVPRO of North Palm Beach County for immediate assistance! 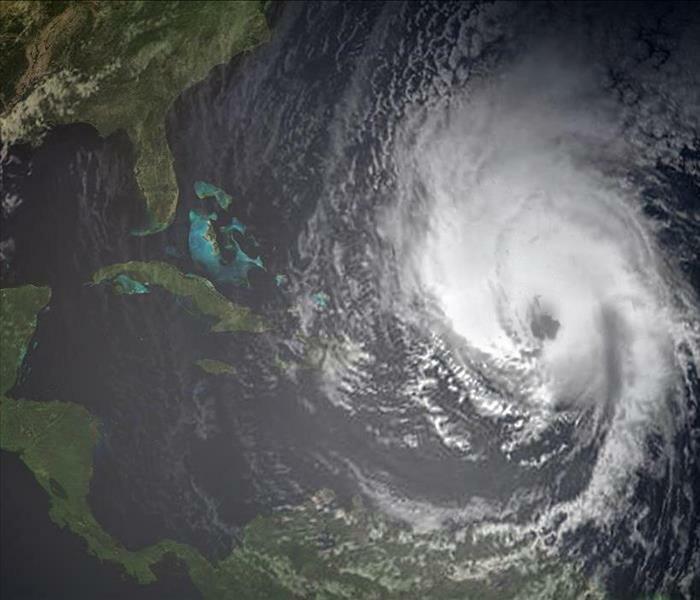 No matter how you plan to protect your home during Florida’s hurricane season, it is important to have a plan in place. 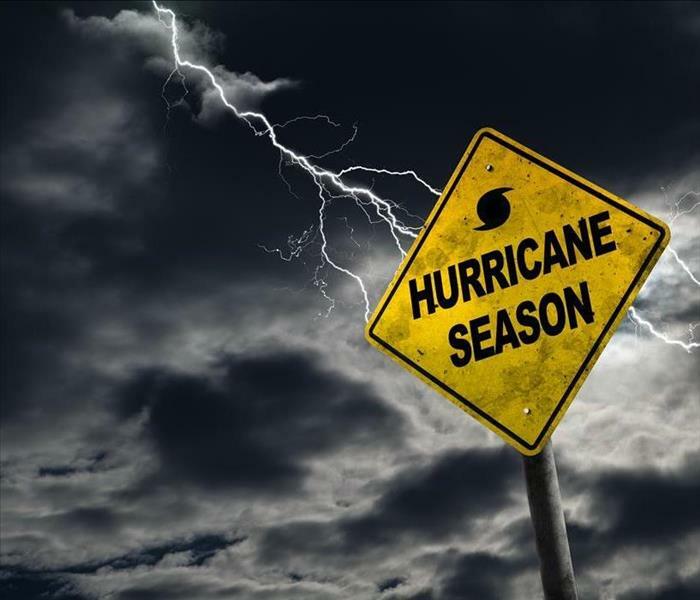 Hurricanes are no stranger to South Florida that means that homeowners throughout the region have grown accustom to taking extra precautionary measures to weather the storm. Typically used on both windows and doors, impact glass has grown tremendously in popularity over the last several years. From the sleek look to the functional use, having hurricane impact windows installed in your home can serve many benefits to you and your family. While installing hurricane impact windows and doors can be quite an expensive investment, research has shown that it pays off in the long run. No one wants to be scrambling outside putting up hurricane panels in the moments before a big storm. As such, impact glass helps to ease the minds of homeowners during hurricane season and beyond. No matter how you plan to protect your home during Florida’s hurricane season, it is important to have a plan in place. Even in 2019, far too many people are left running to the home store hours before a storm to purchase protective materials. Take some initiatives during these winter months to ensure that you and your family will be safe the next time a big storm hits South Florida.